advanced hydrotherapy and relaxation technology. 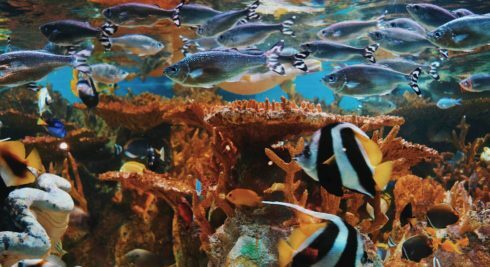 with patented JetPak Therapy System™, true lifetime warranty pools, aquariums, and so much more! Bullfrog Spas are born from hi-tech design technologies and the finest modern materials. It sets the standard in well-designed hot tubs with advanced hydrotherapy and relaxation technology. Choose from a range of options such as several glass thickness choices, optional tempering, low iron / ultra clear glass, drilled holes, enamel backing, among many more custom options. Bullfrog Spas offers a complete selection of premium portable spas and hot tubs in sizes, layouts, color combinations, and styles to suit every need. you’ll find hot tubs and spas for every lifestyle and budget. Choose from 16 different JetPak massages to design the best hot tub for you and your loved ones. Want to see what your backyard or patio would look like with a Bullfrog Spas Hot Tub? Bullfrog’s JetPaks® Therapy System gives the luxury of customizing your hot tub experience based on your preferences and hydrotherapy needs. Bullfrog JetPaks® are removable and interchangeable, each engineered to provide a unique and enjoyable massage experience. Only a Bullfrog Spa allows you to choose, interchange, and adjust each of your massages to fine tune your hydrotherapy and step up your relaxation. Bullfrog’s exclusive SpaDesign feature allows you to design your customized hot tub online. You choose your JetPaks® massages, your colors, your features, and your accessories. Of course, we are here at our Oklahoma City showroom ready to help you in person Monday through Saturday. Our Bullfrog experts will also assist you with any service, maintenance and installation needs, and please ask us about our financing option. The ABS EnduraBase foundation is 100% wood-free. It is precisely built with a composite material that is impervious to moisture. The ultra-durable 3 layer spa shell is designed to last a lifetime. Energy smart, full foam insulation also further supports this strong shell. All of this helps you to enjoy your spa for many years without high maintenance and energy bills. Bullfrog Spas has engineered the perfect hot tub experience with a completely customizable, most reliable, energy efficient tubs in its class with a 100% wood free structure. Bullfrog Spas offer choices through customizable jet selection and have exceptional energy efficiency which saves you money. It is built with top-notch engineering which provides reliability and worry-free relaxation in your hot tub. 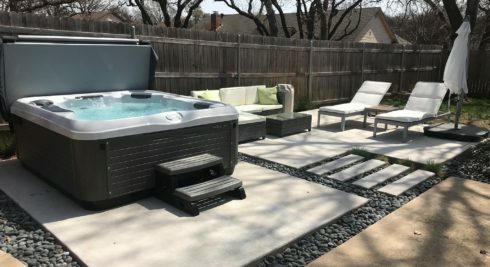 Check out what makes Bullfrog Spas the most sought after hot tubs by Oklahoma homeowners and the fitness industry, and visit our Oklahoma City showroom that features the top Bullfrog Spa models, JetPaks® Therapy Systems, as well as a complete line of chemicals and accessories.